Everyone is here in the newest installment of the Super Smash Bros. series, Super Smash Bros. Ultimate. 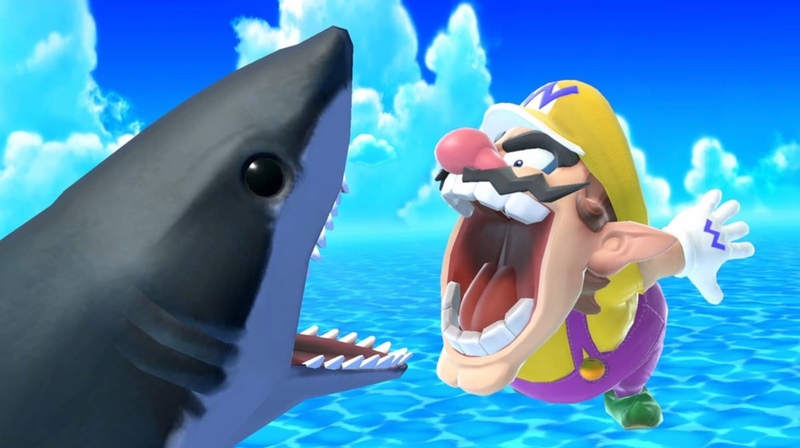 The game boasts a giant roster comprised of unique old and new fighters totaling 74 characters (80 characters including Pirahna Plant and the five purchasable fighters), over 100 stages to choose from, and 850+ songs from various games and Nintendo titles. With some new improvements and tweaks to the overall movement system of the game, this one feels more reminiscent of faster-paced games like Super Smash Bros. Melee, which is a great and well-needed improvement for the game because the other games (specifically Super Smash Bros. for the Wii U.) felt very slow and could become dull unless people were playing at the highest level. This is big reason many “Melee purists” exist now because that game had such an amazing movement system, which allowed players to go around at incredible speeds while still remaining in control. However, this is a review of Smash Bros. Ultimate, not Melee, so without any more comparisons, let’s begin to review Super Smash Bros. Ultimate. Overall, the presentation is much better than some of the other games within the series. It has one of the best functional menus ever. It flows into itself nicely, and the loading times are minimal. Also, there is a story that most fans will certainly be happy about. World of Light, the new story, is both fun and unique, and the spirits add a nice touch to the overall “party” aspect of the game. There are 800+ spirits within the game, which is certain to give collectors a fun time obtaining every spirit through World of Light, the shop, and the spirit bounty board. Switching to the topic of gameplay, every character has received balances and tweaks to make them more viable to play in competitive and normal play. Many characters who were very powerful within earlier games (a good example of this would be Bayonetta in Smash Bros. for Wii U.) are weakened a bit to make everyone feel fair and not at a disadvantage for who they choose to play. Honestly, there is nothing but praise for this game so far, and Masahiro Sakurai (the man mainly responsible for Smash Bros. since the Nintendo 64.) really deserves a break at this point for delivering so much with every game, along with the announcement of Joker from the critically acclaimed Persona 5 (which is confirmed to be one of the only games Sakurai played during his time off and one of his personal favorites) to be the first character to be purchasable for Ultimate.